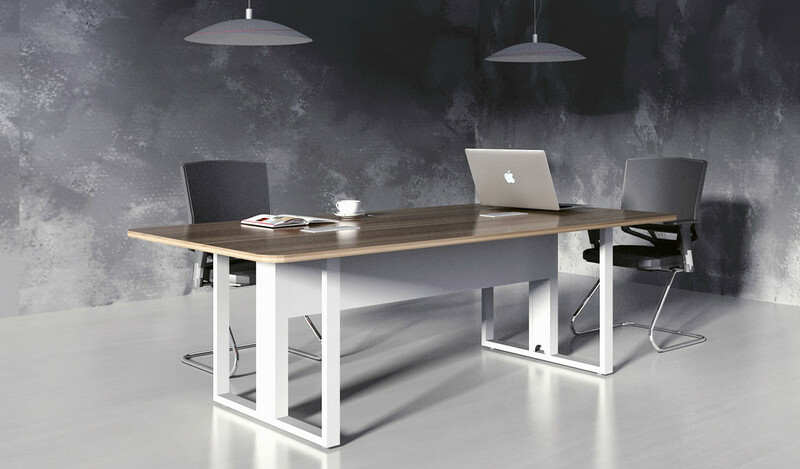 Versatile and functional, the Natural complements nearly any contemporary office setting, bringing visual unity and coherence. 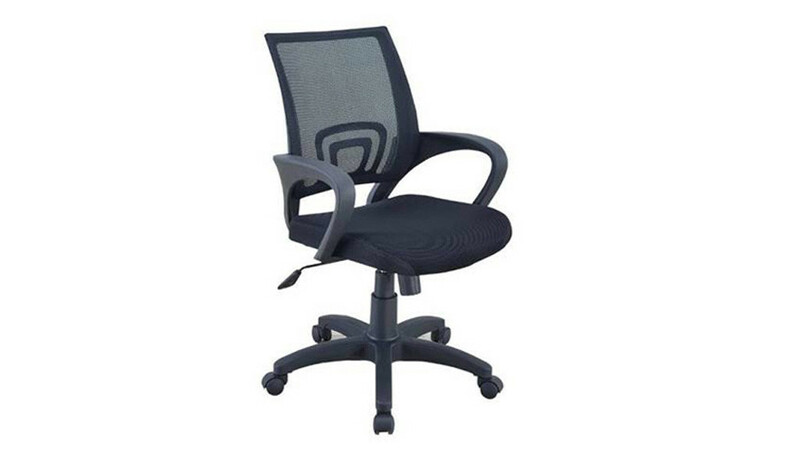 A simple set of elements can be combined in nearly limitless ways creating an advanced system that allows you to work individually or collectively. 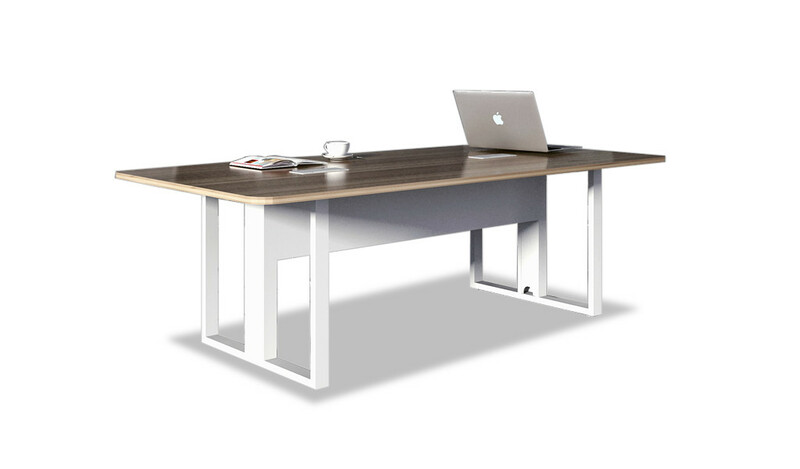 – This desk looks best in brown laminate as seen in the picture. 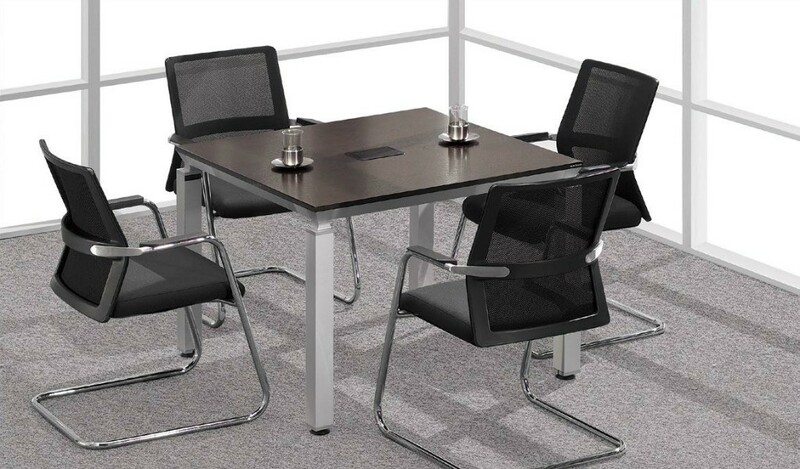 – A compact four seater that can be used in small meeting rooms or just about anywhere. 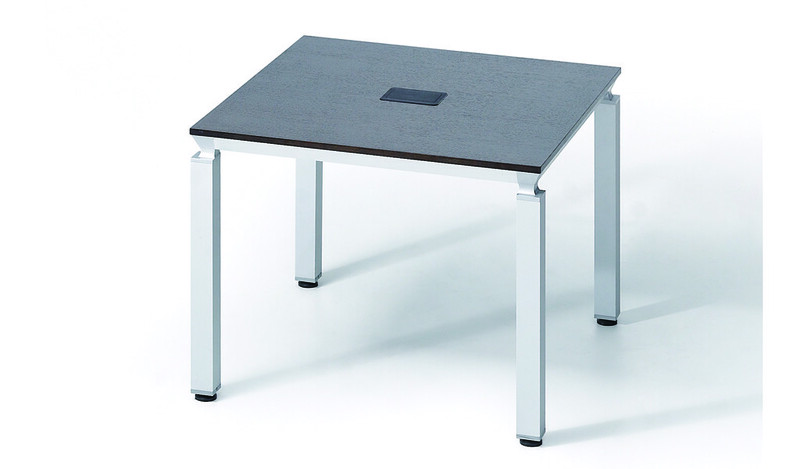 – Table top and metal legs. 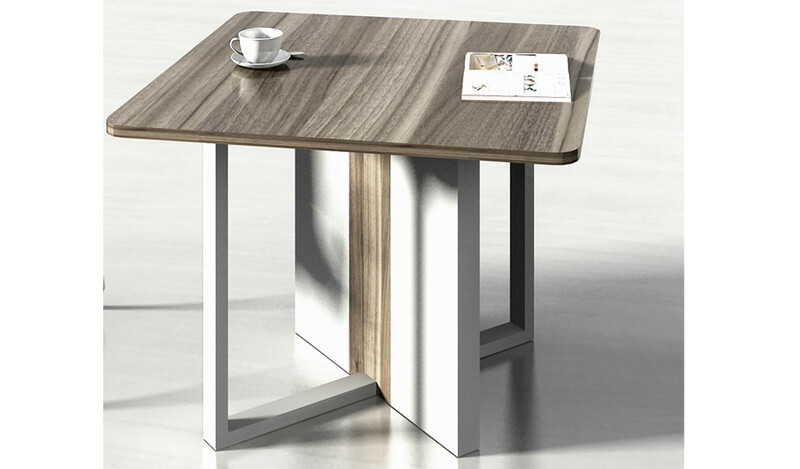 – Designed by the prestigious Red-Dot award winning team of German architects this white laminate finished table is crafted with the highest quality E1 grade MDF wood and light brown laminate for lasting durability, natural feel and luxurious looks. 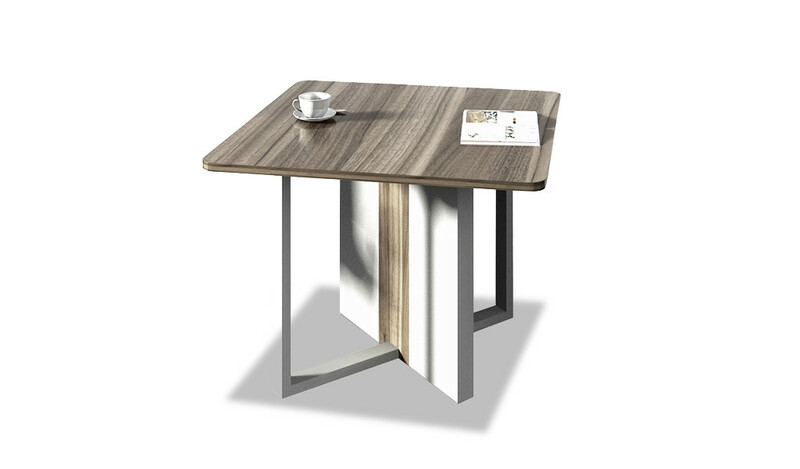 It is part of the Natural series from which you can choose an entire range of matching cabinets, smaller tables, conference tables etc to create a complete office. 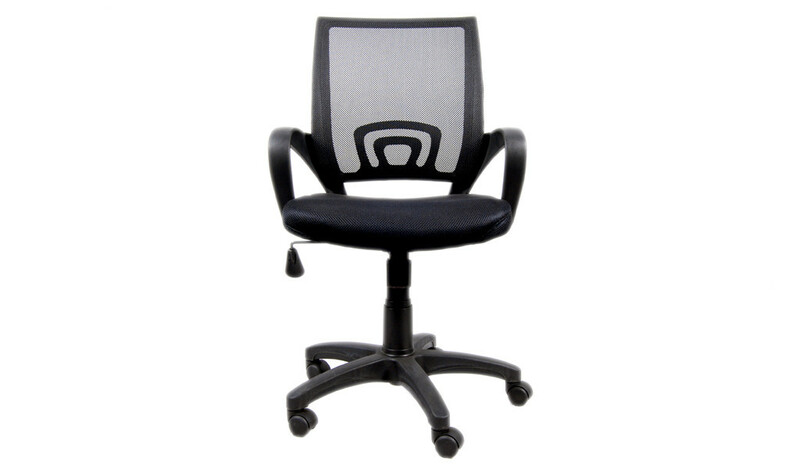 Go to our catalog section to download the entire catalog.